Amazingly soft, 100% sprouted whole wheat cinnamon rolls your friends and family will rave about. Enjoy a sweet indulgence with minimal refined ingredients. You wouldn’t even know they were whole wheat! 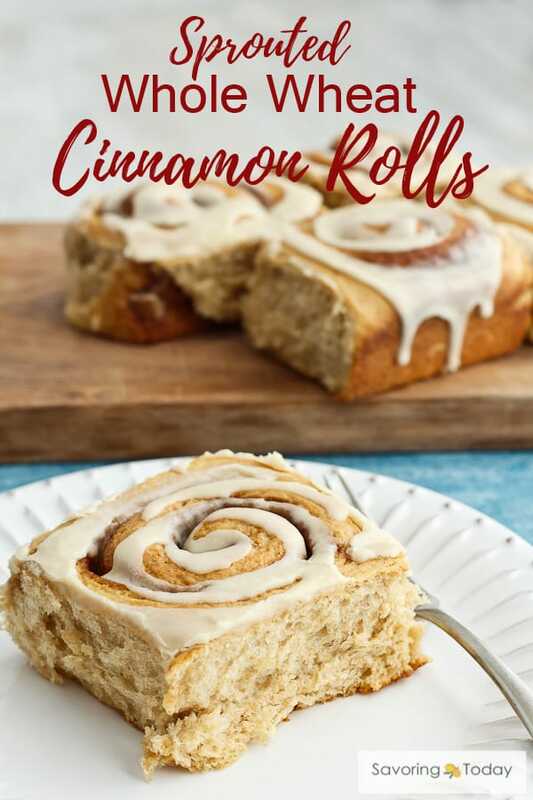 Light, tender cinnamon rolls made with 100% sprouted whole wheat flour. Friends, these are the real deal. If you’re skeptical, I understand. 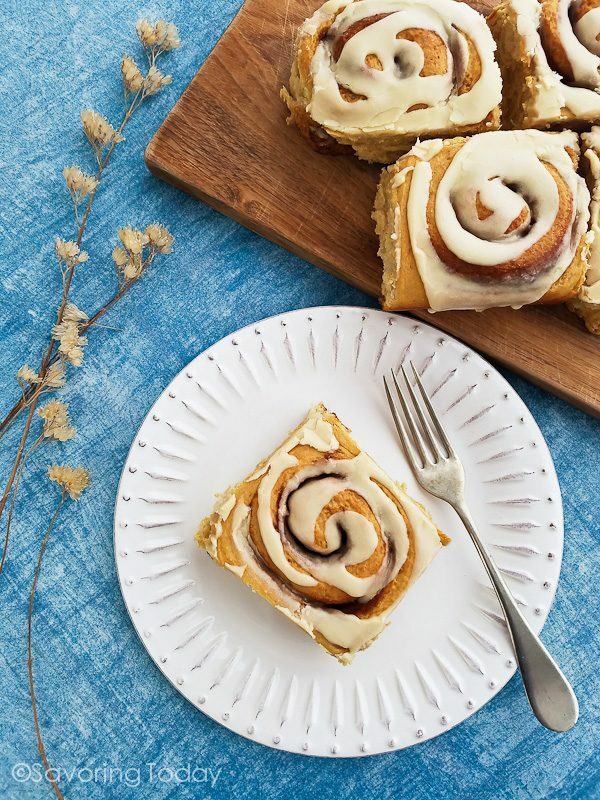 The idea of making a decadent treat like cinnamon rolls with sprouted whole wheat flour sounds like a good idea, but is it just another healthified cinnamon-swirled brick with icing? Not hardly. That would never fly around here. The soft texture and mild wheat flavor of white whole wheat flour is the key. Well, it’s one key. Another is patience. A couple months ago, I dove into Peter Reinhart’s Bread Revolution cookbook and I’ve been studying … and baking. I also teach bread making classes using the same technique I’m sharing with you in this recipe so you can coax all the potential out of the sprouted flour. Sprouted White Whole Wheat Flour. You absolutely can make this recipe with any sprouted whole wheat flour. However, I highly recommend the white wheat variety, which is what I used. White and red wheat have the same levels of nutrition, but white has a sweeter, mild flavor (less wheat-y) and produces a lighter texture in softer baked goods like rolls and pastries. Make lighter, softer baked goods with sprouted whole wheat. This video demonstrates what sprouted whole wheat dough should look like, so you avoid adding too much flour. As it goes with any bread making, it may take a couple of tries to get the hang of it but it’s worth it to have delicious better-for-you bread at your fingertips. Need help finding sprouted flour? Look for sources just below the recipe. 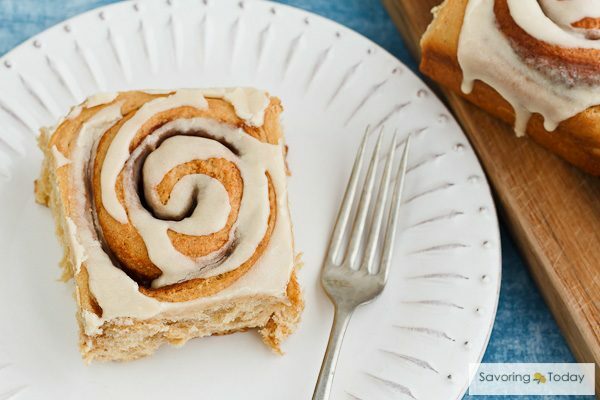 Amazingly soft, 100% sprouted whole wheat cinnamon rolls with almond frosting. In the bowl of a stand mixer, blend 2 cups of the flour, salt, and yeast until well mixed. In a small saucepan, heat the milk to 115°F. Add the milk, honey, butter, and egg to the flour mixture and beat on low speed until 1 minute and then on medium speed for another minute until smooth. Scrape down beater and sides of bowl, as needed. Cover the bowl with a towel and allow to sit for 10 minutes. Stir in enough remaining flour on low speed adding 1/2 cup at a time until the dough begins to leave the sides of the bowl and hold its shape -- it may slump slightly, but is no longer sliding off the beater. The dough will still be sticky and very soft at this point. Continue to mix with a dough hook for 3 minutes. Using your hand, spread 2 tablespoons of oil on a clean counter or work surface in a 12 to 15 inch circle. Scrape the dough out of the mixing bowl onto the oiled counter. Once on the counter, the dough should hold its shape, but still relax a little. Using oiled hands, fold the dough over onto itself 4 or 5 times. (A pastry knife can help lift and fold when the dough is sticky.) Cover with a large bowl and allow to rest 5 minutes. Repeat the folding process 3 more times with a 5 minute rest, covered with the bowl, in between each session. You will need to oil your hands each time you handle the dough and you should notice the dough becoming more stable as it hydrates with each folding session. Remove the dough from the counter and temporarily place in the bowl you used to cover it. Clean the counter with a dough scraper if needed. Spread 2 more tablespoons of oil on the counter in an approximate 12x15-inch rectangle. With oiled hands, press the dough out over the oil then use a rolling pin to roll the dough to an even 1/2-inch thickness, approximately 12x15-inches. In a small bowl, mix the coconut palm sugar and cinnamon. Brush the 1/4 cup melted butter evenly over the rolled out dough. Sprinkle evenly with the cinnamon-sugar up to the edge. From the 15-inch side, roll the dough into a tight log; pinch the seam closed. Butter a 9x13-inch pan. Using a sharp knife, cut the roll into 15 (1-inch slices) slices, placing the slices in the pan about 1/4-inch apart. Cover with plastic wrap and allow to rise for 1 to 1 1/2 hours, until doubled in size. Place the oven rack to the middle position in the oven and heat oven to 350°F. Remove plastic wrap and bake rolls 25 to 30 minutes until golden brown or an instant read thermometer reads 190°F in the center of the rolls. Immediately remove rolls from pan by placing a cooling rack on top of the pan and flipping the rolls over on the rack. Use another rack to flip the rolls again, right side up. Cool 5 minutes on the rack. In a small bowl, stir glaze ingredients until smooth, adding the milk one tablespoon at a time until icing is thin enough to easily spread. Place the icing in a quart size zip-type bag and press toward a bottom corner. Snip the corner with a pair of scissors and squeeze the icing out of the bag to pipe onto the warm rolls. Serve warm. IMPORTANT: "Holds its shape" means the dough may still slump or spread slightly when placed on the counter, but isn't runny. This is important because once the dough can sit in a shaggy lump, only relaxing slightly, you can stop adding flour and switch to oil for handling the dough through the folding process. Through the folding and resting process, the dough will continue to hydrate and stabilize. More notes: Rolls can be frozen once completely cooled and iced. Defrost, then cover with foil and gently warm in the oven at 350°F for 15 minutes. Otherwise, leave uncovered and warm individual rolls a microwave for 20 seconds. How does sprouting make the wheat better? Naturally manufactures vitamin C, increases vitamin B, carotene levels, and minerals. Initiates the digestion process, breaking down the complex sugars, which makes digestion easier and the vitamins and minerals more bio-available. Neutralizes enzyme inhibitors and reduces phytic acid (an anti-nutrient) that inhibits absorption of calcium, magnesium, iron, copper, and zinc. Sprouted wheat is NOT gluten free. However, because of its lower starch content, some people who have been on a gluten-free diet due to gluten sensitivity have been able to eat sprouted flour. Where do you buy Sprouted Wheat Flour? I have used a wide variety of sprouted wheat flour and encourage you to keep in mind they are all different. Some absorb moisture more quickly, some are more finely ground, and as I mentioned, there is a difference in flavor between the red and white varieties. They also vary in price primarily due to shipping. As this time, prices start around $2.47 per pound and go up from there, but there’s more to the story than the price. It is the shipping costs that can bite so look for shipping discounts or free shipping for the best deal. 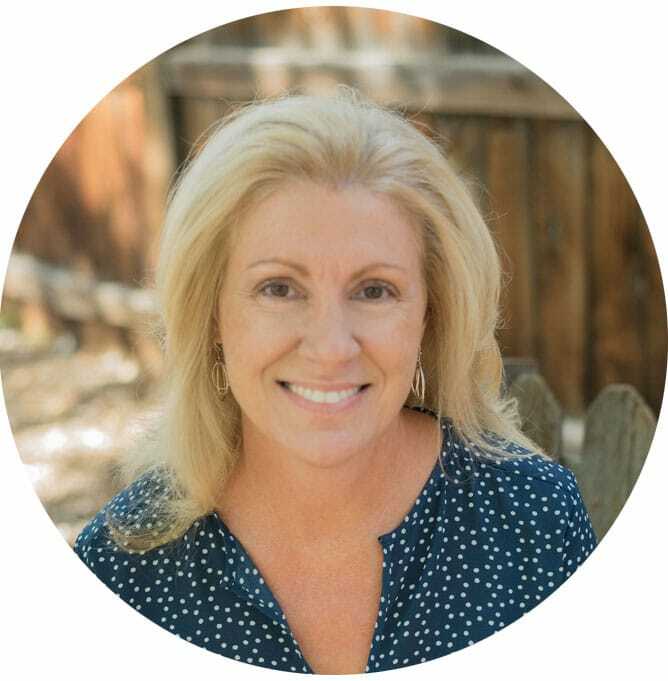 This is not an exhaustive list of sources, just the suppliers and brands I have experience using and can personally recommend—they are all organic and Non-GMO. Feel free to post any questions in the comments. Thrive Market (online only) — Their sprouted white wheat flour brand has become my new favorite. 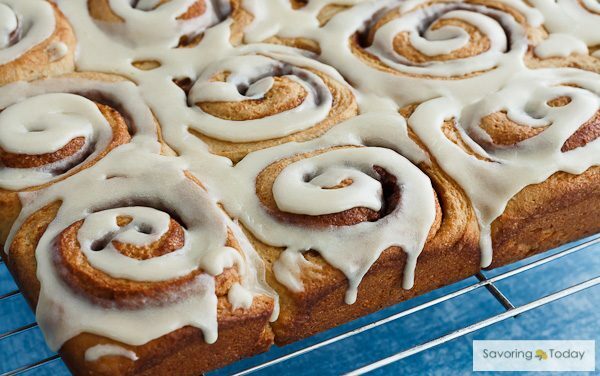 It has the silkiest, most finely ground texture of any I’ve tried, which makes beautiful cinnamon rolls like these. It is only available through Thrive Market, a membership community for purchasing health food and natural products at wholesale prices. They offer a free 30-day membership trial and you can cancel any time. Annual membership is $59.95 and they guarantee your annual membership will pay for itself in savings. FREE SHIPPING on all orders over $49 and their sprouted wheat flour is among the lowest priced. To Your Health Flour Company (online & in-store) — I have used a variety of sprouted flours from this company and love the fact I can choose from so many. To Your Health offers sprouted white wheat flour on their site, as well as on Amazon—the price (and shipping) is consistent on both. Their flour is also finely ground and I have had great results every time I’ve used it. If there is anything that makes me pause it’s the shipping costs, however, they have been on the shelves at Whole Foods Market from time to time, so I always check when I’m there. You can check out a brief tour of their plant on The Kitchn. One Degree Organic Foods (online & in-store) has a great small farm story and I’ve had great results with their flours too. They also offer a nice variety of sprouted grain flours, including ancient grains like khorasan (Kamut). White wheat flour is not part of their product line at this time, but their red wheat flour is superb. You can find their sprouted whole wheat flour on the shelves at Whole Foods Market or online at Amazon, which usually has shipping deals making online ordering the better way to go. This post contains affiliate links. 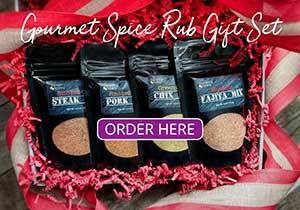 When you make a purchase through those links it supports what I do here at Savoring Today. For more information regarding ads and advertising affiliations, please see our Disclosure Policy. These look amazing! I’m excited to try them, but I’m kinda lost in the sprouted wheat area, what makes it special? Does it benefit the rising proses in whole wheat things or is it just the flavor? Also do you think this recipe would work with just normal whole wheat flour? We tend to grind our own flour and the whole sprouting and drying process looks pretty time consuming, is it worth it? Hi Noelle, all good questions! What makes sprouted wheat special is the sprouting process makes the grain’s nutrients more readily available and is less bitter when using 100% whole wheat. It doesn’t give any advantage to the rising process. The recipe should work with regular wheat flour just fine, but the total amount of flour might be a little different. Thanks!! That’s very informative. I’ll definitely have to try it out some time. What a wonderful recipe! Thanks so much for it, because I was tasked with making the cinnamon rolls for our family Christmas breakfast, which I haven’t done in nearly a decade, and the only flour I have that isn’t ancient is lots of sprouted wheat flour. All I have is red, which concerned me a bit–as did trying a new recipe with a flour I hadn’t used before–but it worked perfectly. Even the few of my relatives (such as my nephews) whom I expected not to love them, really did. One nephew kept telling me how great they tasted. I loved them, too–the great wheaty taste was special, and I think I’ll stick with the red flour, though I might try white sometime just for the taste experience. Now I can’t wait to make bread with it. I’ve made sprouted wheat bread but cinnamon rolls? Get outta here! These look FANTASTIC!! Thanks, Maureen ~ and Merry Christmas to you! I’ve yet t jump on the sprouted wheat bandwagon, Judy, but not for lack of want. I just don’t bake that much bread these days and, when I do, it’s spur of the moment. That may change, however, and if it does, I know where to come to get info on purchasing the wheat. Thanks! I have a girl friend who tries to use sprouted wheat all the time…she will love this recipe. I just wanted to stop back by to wish you and your family Merry Christmas. That’s a beautiful batch of cinnamon rolls, Judy!!!! I’ve also wanted to make something with sprouted wheat, but just haven’t tried it. I didn’t realize you could actually buy the sprouted wheat. Silly me. I thought I would have to sprout it myself. 🙂 I’m going to have to check out your sources. Thanks for those BTW! Love these rolls! 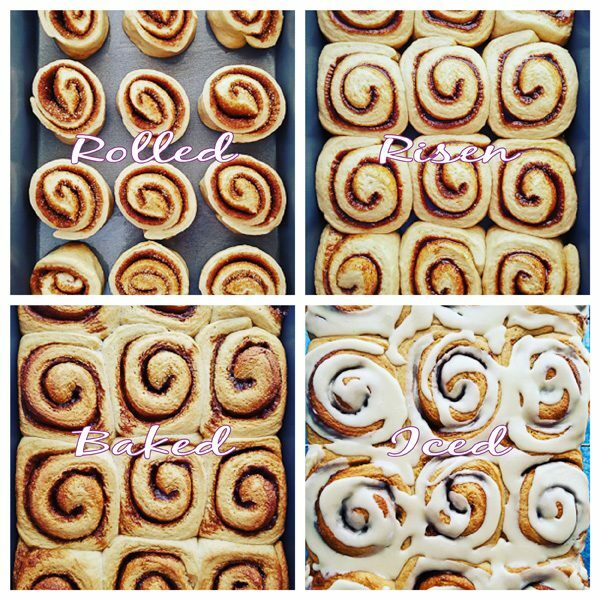 Who doesn’t like cinnamon rolls? And sprouted wheat turns these into health food, right? Haven’t played with sprouted wheat flour before — really should get my hands on some. To make these, of course. 🙂 Good stuff — thanks. Wow, Judy, these look drop dead mouth watering! I wonder if we have sprouted wheat here in Australia! ?